The time has come. 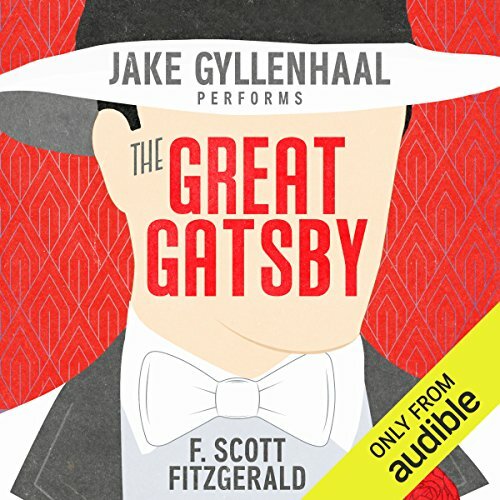 My audiobook trek through American Classics was in part a cover for listening to the literature of F. Scott Fitzgerald. I started with his final novel Tender is the Night. Since then I have bounced around reading other authors and occasionally other works by Fitzgerald. Always leaving The Great Gatsby for last. Gatsby is the book that truly endured for Fitzgerald. It's highly ranked in nearly every effort to rank great American literature. Published in 1925 the book arrived to mixed reviews but eventually became a best-seller. 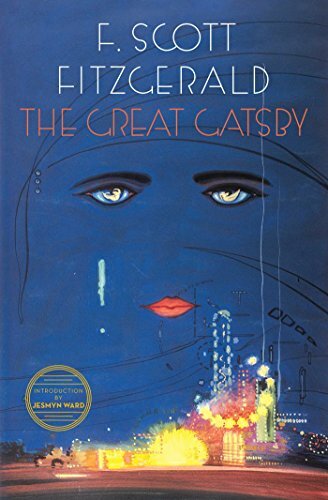 Unlike the other books by Fitzgerald, The Great Gatsby is written in first-person. The eyes of the story belong to Nick Carraway who acts as a foil to the books more important characters: Jay Gatsby, Daisy Buchanan, and Tom Buchanan. In the brief book, the enigmatic Gatsby's relationship to Daisy takes center stage and shady past of Tom brings the story to its conclusion. The guts of The Great Gatsby is thoroughly Fitzgerald. The pomp and circumstance of the culture, the drinking, the love triangles, and the depressing conclusion. Having read three other novels from Fitzgerald this year it was fascinating to feel like the story of Jay Gatsby was present in almost all of them. But here the story is thinner. The characters are only full enough to be directed to the conclusion—even though one must admit the conclusion itself is quite poetic and beautiful. I must confess that this book is a tale of two halves for me. Despite already knowing the story, the first half remains some of my least favorite Fitzgerald. The later half—particularly as the story rejects chronological advancement—returns to something more poetic and thorough. For me, the book misses the philosophical pretentiousness that I appreciated in other works by Fitzgerald. And also up until the final few lines, it lacked the abstract (and sometimes bad) poetry that riddles Fitzgerald's other work. These criticisms aside, The Great Gatsby is really quite good. The book is engaging and weaves an enjoyable, (intentionally) vague climax. Is it a great novel? Probably. But I like the philosophical musing of Fitzgerald put on the lips of his characters as in This Side of Paradise. I prefer the sad depressing anonymity found at the conclusion of Tender is the Night. Just my prefernce. Read by Jake Gyllenhaal, The Great Gatsby was a really enjoyable read. Gyllenhaal's Nick reminded me substantially of Toby Maguire's movie rendition. In fact, Gyllenhaal's Gatsby also reminded me of DiCaprio's version of the iconic character. The persistent "old sport" became something like a staple in my mind for the couple days I was listening to the book. While Gyllenhaal's pacing was good, his general energy was tepid. While appropriate at times of sobriety, I felt like some of the youthful exuberance in the book was lost. Still, it was incredibly enjoyable and because of its length will likely get replayed before many of the other books I've read this year. In conclusion, The Great Gatsby lived up to my expectations but did not surpass Tender is the Night or This Side of Paradise. This is the most reader-friendly of Fitzgerald's novel. It's a rush of a novel with mostly toned-down renditions of all his idiosyncrasies. Maybe that makes it great. But it left me wanting more.